A deck is one of the most sought-after home improvements, but that doesn’t mean everyone desires a wooden box extending from their house. 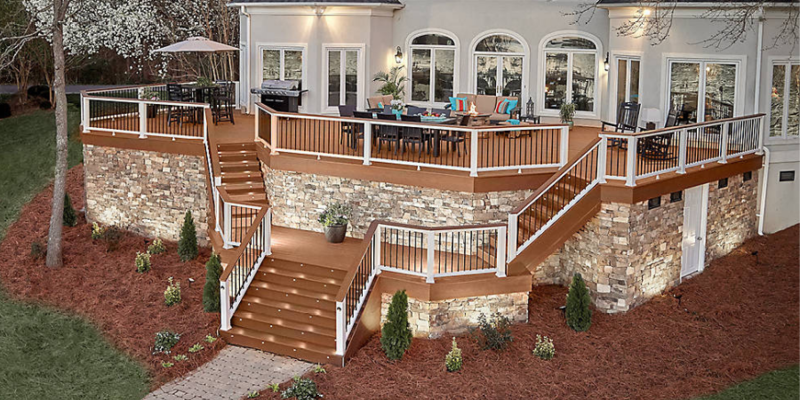 These days decks that are functional, attractive, and well designed, which is why multi-level structures are becoming more common. You could enjoy building a multi-level deck. Deck surface space: Perhaps you desire to have a larger deck built but have a very small backyard. Unless you are willing to sacrifice all or most of it, a wide, single-level deck may not be practical. By building up, you can increase the amount of deck space you have, and still have enough of your yard left over for other things. Distinct deck areas: You may wish to use your deck for multiple purposes, in which case a multi-level structure is perfect. Add an outdoor kitchen/dining area on one level, a hot tub on another, and use yet another level for games or other activities. So, your guests can easily go from one to another when mingling. 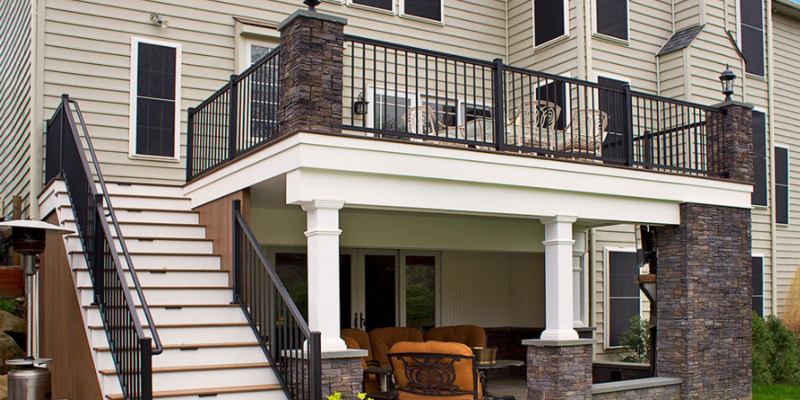 Providing Covered Space: All multi-level decks provide some type of covered space beneath them. Depending on your design, you may have one level on top of the other, which would provide shade and protection from the rain to the lower section. Other multi-level decks provide a covered space off to the side where you could store a barbeque grill or other outdoor items. Allowing for Better Views: Multi-level and elevated decks are especially appealing on lakefront or wooded properties because they provide you with a better view. The top level of your deck will become the perfect place for you to enjoy a sunrise, sunset, or just connect with nature.